Boardrooms at English football clubs have undergone considerable upheaval in recent years. All Premier League clubs are on the radar of investors and consortiums, and a substantial proportion have changed hands, invariably sold to Russian, Middle Eastern, American or other overseas investors. The financial implications have ranged from the instant injection of huge sums of capital, as at Chelsea, Manchester City and, pending due diligence, Portsmouth, through to more moderate, well targeted investment, as at Aston Villa, to debt-funded takeovers, secured against clubs' assets, of huge revenue generators like Manchester United and Liverpool. Beyond the Premier League, many takeovers have been precipitated by clubs going into administration. Since the Premier League's inauguration in 1992 there have been 40 such insolvencies, none of which occurred in the elite division. For those whose business model is premised on reaching or remaining in the Premiership, achieving that goal is a critical financial imperative as much as a source of sporting pride. Over in Wales, a club currently for sale on BusinessesForSale.com won't ever reach the Premiership, but thanks to its frequent triumphs in the Welsh league it does play in prestigious European competitions on a regular basis. Barry Town, based in Glamorgan, South Wales and founded way back in 1888, once reached the second qualifying round of the Champions League after beating Porto, and, remarkably, is on a par with Tottenham Hotspur, Everton and Napoli in UEFA's rankings. The tide of takeovers by billionaire foreign investors has dried up since the financial crash, but Phil Hall, founder of PHA Media and media adviser to Man City, Portsmouth and West Ham, doesn't believe the downturn has affected demand for football clubs: "The downturn hasn't affected investors' appetite for football clubs," he maintains, adding: "At least six potential buyers are circulating now." But Philip Long, corporate recovery partner at PKF's Football Interest Group, indicates otherwise: "There are fewer buyers about as people have seen what happened with Mike Ashley at Newcastle United," he says, referring to the sports retail magnate's difficulties in offloading the club. At one point last season, according to Keith Harris, chairman of investment bank Seymour Pierce, 16 of the Premiership's 20 clubs were officially or unofficially up for sale, hoping to attract Middle East investors, seemingly the only group left with deep enough pockets. Harris says the value of clubs has probably dropped by about 20% due to the credit squeeze. "You can't expect the asset values of soccer clubs to avoid being affected," he says. The perennial spectre of administration looms even larger in the enduring recession. "Far fewer people are taking up season tickets," says Philip Long, who has worked on administrations for the likes of Northampton Town and Motherwell. "Corporate spend will be reduced, so executive boxes on an annual licence are a problem. Additionally, merchandising sales will fall." Alan Switzer, a director in the Sports Business Group, concurs: "Lower revenue growth in forthcoming seasons means clubs will have to focus on improving cost control - both wages and other operating costs - if profits are to be maintained." The frequency of administrations means opportunities aplenty but also, of course, shows it's a risky business at present. Investors should at least ensure they begin on a reasonable footing and conduct thorough due diligence - unlike Newcastle United owner Mike Ashley. Ashley rushed through the process of buying the club only to find an organisation laden with debt, outstanding liabilities on old transfers and the highest wage bill outside the Champions League quartet of Manchester United, Chelsea, Arsenal and Liverpool. Moreover, Ashley completely ignored the following golden rule outlined by Philip Long: "A key thing is an ability to make profit. That's the critical thing. And the biggest overhead at all football clubs is the wages." Ashley has now put the club up for sale for a second time and is likely to walk away nursing a personal loss of around £150m and untold damage to his reputation. Now conducting a fire sale of highly paid stars, he's at least following Long's dictum for sellers: "Make sure you have the overheads under control, so you don't have these potentially spiralling costs and a potentially loss making situation." Conceding he "made terrible decisions," Ashley's recent admission distils his folly perfectly: "Of course I regret it [buying Newcastle]. I never said I was an expert in football clubs. I was just a fan - although a very wealthy fan. But I'm not so wealthy now." Every club has its level, one commensurate with its support and financial backing, and the scope for growing its customer base is limited - the four regular Champions League participants excepted - by the demographics and number of rival teams in the region. It's difficult to grow your 'market share' -standard business terminology often doesn't even apply - as local competitors tend not to go out of business. Conversely, at least, new rivals rarely spring up, although Northampton Town, Luton Town and Watford were incredulous when Wimbledon FC relocated to Milton Keynes and rebranded itself the MK Dons. When they started winning and attracting big name managers, Paul Ince and Roberto Di Matteo among them, the surrounding clubs had to absorb a slight but discernable noticeable drop in attendances. 'Customers', to use another incongruous term, are extremely loyal on the whole though, and simply don't switch 'brands'. And yet, paradoxically, they're actually very demanding in other ways. Football supporters' impatience for success can pressurise hitherto sensible business people into making mistakes of biblical proportions, as the board of Leeds United demonstrated five years ago. "The problem is that a football club is a very short-term business - you get results on a weekly basis," reflects Philip Long. "In other businesses you make decisions looking at a 12 month or a three-year period. Everybody thinks they own the team, there are so many different stakeholders." Demographic changes can heighten a club's ambitions, but they must be managed carefully and planned thoroughly. Albert Reynolds, who, as Darlington chairman, built a 25,000-seater stadium for a club averaging crowds of around 3,000, found the costs of running the stadium simply too hot to handle, and consigned the club to administration in February of this year. Appraisal of a target club's potential should include an assessment of whether an expansion of the stadium or even construction of a new, larger ground could be justified and by what degree match-day revenues could be increased. Acquirers of non-league clubs need to consider the costs of upgrading their ground to league standards, such as converting it to an all-seater stadium, should promotion to the Football League be a realistic ambition. The arrival of new owners often heralds a period of loftier aspirations. However, greater transfer funds don't guarantee success, as West Ham's calamitous season following the Icelandic takeover and subsequent spending spree two seasons ago proved, along with Man City's stuttering campaign last year. Then there's Sunderland, who have a wealthy benefactor and an average crowd of around 40,000, but often miss out on transfer targets because the region is considered by some to be unfashionable. Not all takeovers involve a huge transfer fund. "Owners do not always inject cash and no two projects are the same," says Phil Hall. "In some cases, as at Manchester City, the top tier of management is swept aside, while at Manchester United little changed". "Buyers have different motivations" for buying clubs, says Phil Hall. "Most see the upside financially in the growth of the Premier League as a global brand. "Almost every Premier League club that has been sold has been done at a profit. For foreign buyers it puts them on the map in a European market where they may be relatively unknown." He rejects the notion that football clubs are ever just vanity purchases. "Look at the value of Arsenal in the last 10 years, it's increased tenfold. "But of course the club needs to be successful to increase in value or for revenues to jump through TV rights and ticket sales. It's governed in the end by success on the field." And, of course, there's the catch: the best-laid plans can be undermined by failure on the pitch, over which the owner only has indirect and tenuous control. Consider Charlton Athletic, generally considered to be a well run club, but just relegated to the third tier for the first time in 28 years with debts of around £20m. "The risk element depends very much on the performance of the team," admits Long. "That's the imponderable, the biggest difference to any other business." It's not easy to identify the right manager, especially when you consider how a managers' stock rises and falls so quickly - Sam Allardyce was touted as a potential England manager just a short while ago, but now has dropped a couple of rungs on the managerial ladder, managing Blackburn Rovers after his brief, unsuccessful stint at Newcastle United. But an owner can implement changes that build success in the long term, by investing in a youth academy, scouting, training facilities, medical staff, dieticians, psychologists and other building blocks to success. Ebbsfleet United, a Blue Square Premier outfit, was built on an entirely different model. Since 2007, the Kent-based team has been collectively owned by 27,000 football fans, each of whom paid £35 through the website MyFootballClub.co.uk for the privilege of voting on team selection and transfers, although they make no profit nor receive a dividend. Fans of the 10 clubs who finished below 14th-placed Ebbsfleet last season might wonder whether they genuinely could do a better job than their incumbent manager. Back at the sharp end, the Premier League has been an unequivocal commercial success, domestically and globally, enjoying huge revenues from gate receipts, merchandising and global TV rights. Recent Champions League performances suggest the financial gains have been reinvested into quality players. With so many formerly world-leading UK sectors in decline, this is one industry where the English can credibly claim to lead the world, albeit with the aid of overseas investment and a growing pool of foreign players. And yet, the Premiership actually resembles UK Plc before the financial crash. It's success, founded on the ability to outbid clubs in Serie A or La Liga for transfer fees and wages, has partly been fuelled by a collective eye-watering debt of £3.1bn. In fairness though, revenues are pulling away from those of other top leagues and the wages to revenue ratio has actually improved. A substantial dip in football's popularity is hard to envisage, but such is the level of indebtedness that even a modest drop in revenues could precipitate a serious crisis. Some observers have suggested that the number of professional clubs is unsustainable in the lower divisions. In other sectors the solution might be consolidation, but there's a cultural hostility among fans to merging with loathed local rivals. More realistic is that some clubs become semi-professional or worse, fold completely. The oft-repeated claim that The Championship is the fourth-best supported division in Europe is misleading, because this is according to total attendance over the season, and England's second tier has more games than most other leagues. In reality, it's not even the best supported second tier, with France, Holland and Germany's equivalents having higher average attendances. It's not all bad news beyond the Premiership, though. The combined revenues of the 72 football league clubs' revenues exceeded £500m for the first time last financial year, while a new broadcasting deal beginning next season will see that figure grow further. 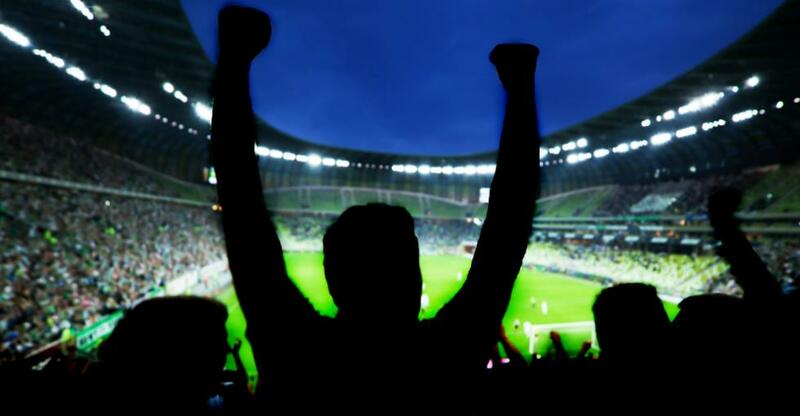 From well known local mavericks to billionaire foreign moguls, from asset management companies to a 27,000-strong group of fans, football club buyers are unparalleled in their variety of types and motives that drive them. Like any sport, the game is highly unpredictable - a bugbear for the profit driven, but the essence of its romance for owners who also love the game. Misfortune and success alike are fleeting, as each season every team begins again on zero points, so owners should refrain from risking a club's future by chasing instant success, even if it means withstanding brickbats from the fans and media. Thorough due diligence and a careful, long-term strategy are an essential platform for success and a return on investment - although nothing in sport, of course, is guaranteed.